Born in Heywood in Lancashire, Alessandra began with junior club Roach Dynamo and then progressed to Oldham Athletic's youth system. A forward, he became a regular in Oldham's reserve team and earned a three-year contract extension in 2008, having been awarded his Latics' first team debut in October 2007 by John Sheridan. He went on to play 67 times and score 8 goals, including a hat-trick in a 3-0 home win over Scunthorpe United in October 2008, whilst still only 19 years old. He also had a brief spell with Conference National side Chester City when out of the Oldham side at the start of the 2009-10 season, making four appearances but these were expunged from his playing record when Chester were expelled from the Conference, having folded. Alessandra returned to Boundary Park and by the start of the 2010-11 campaign he had been converted to a wide player by new manager Paul Dickov, but by the end of the season he was told his contract would not be renewed. In June 2011 Alessandra moved across Lancashire to sign for Morecambe, where he played 82 times and scored 7 goals, including one against Argyle in a 2-2 draw at the Globe Arena in April 2012. 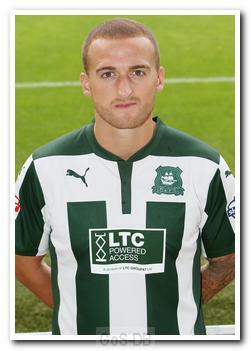 At the end of the 2012-13 season he was offered a new contract by Shrimpers boss Jim Bentley but, having agreed to sign, he had a change of heart in favour of reuniting with John Sheridan and signed a two-year contract at Home Park. Alessandra made his debut in the opening game of the 2013-14 season away at Southend United, but really announced his arrival when he scored two goals (one of which was an early goal-of-the-season contender) in a League Cup game at Birmingham City three days later. Often used as a right midfielder, Sheridan later exploited his attacking attributes by playing him as a striker alongside Reuben Reid. He finished as Argyle's second-leading goal-scorer in both his seasons at Home Park and often caught the eye with his trickery, as well as winning penalties with his regular incursions into the box. At the end of the 2014-15 season he was offered a new contract by the club but declined it, signing for League One Rochdale on a two-year deal after expressing a desire to relocate closer to his Lancashire-based family. Finding his chances limited at Spotland, Alessandra joined struggling League Two side York City on an emergency loan deal in March 2016, where he played alongside former Pilgrim Luke Summerfield. 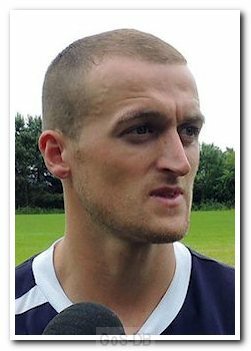 After 11 appearances in which he scored twice for the Minstermen, his contract back at Rochdale was cancelled by mutual consent at the end of the season, and in June 2016 he signed for Hartlepool United. Alessandra played an ever-present role in Pools' 2016-17 season (50 appearances, 9 goals), but as happened at York a year before, he could not prevent his side's relegation from the Football League. In June 2017 he secured another chance in League Two, this time joining Notts County.